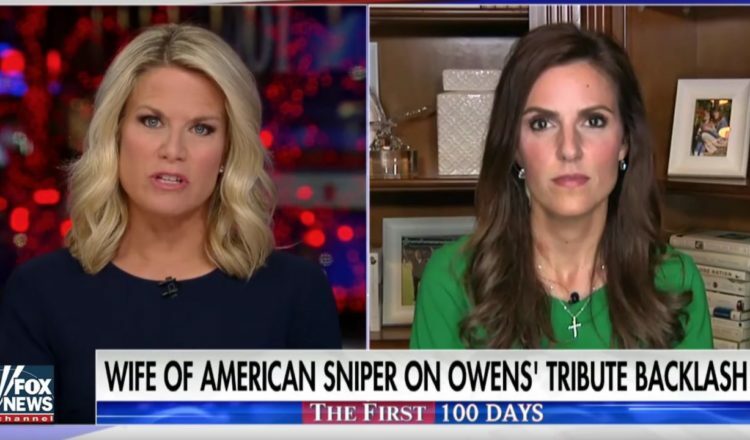 American Sniper Widow Says ENOUGH, Levels Michael Moore For Wife Of Fallen Navy Seal! Michael Moore crossed a line again this week. He decided to respond to Donald Trump’s recent speech where he spotlighted and acknowledged the sacrifice of a former Navy SEAL. He felt it was necessary to explain that moment was just artificial, insulting the widow of the fallen Navy SEAL. But American Sniper Widow, Taya Kyle, was not afraid to speak out boldly about the audacity of Michael Moore. And it will make you love her even more than you already do! Luckily we have amazing female role models like this woman who are willing to speak up and defend themselves and each other. The interview given on Fox was powerful and can be watched below.